do I have a post for you! this morning, I woke up and decided that today I would make brownies because I haven't eaten them in the longest of time and last week something made me think of them again, I got all the ingredients together and decided this recipe is just to good not to make into a blog post so, here it is, in all its glory. I highly recommend you make these little beauties they taste even better than they look but they can lead to you eating 3 or 4 in one serving, and you don't regret doing that either! 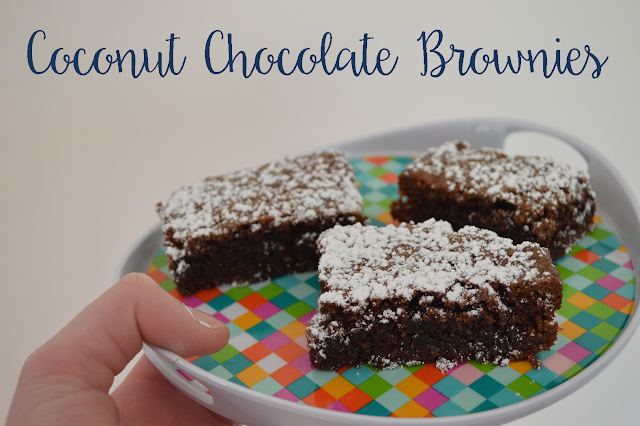 WARNING: the following recipe makes goods that are highly addictive, bake at your own risk. step three // add sifted cocoa and stir over a low heat for 2 minutes. remove from heat. 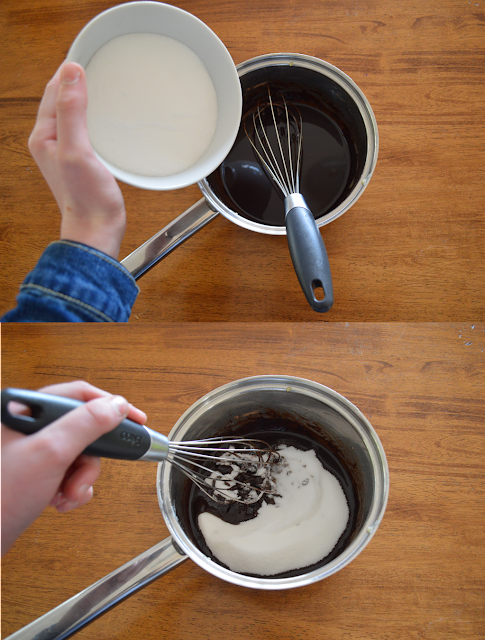 step four // whisk in sugar then add the eggs one at a time. 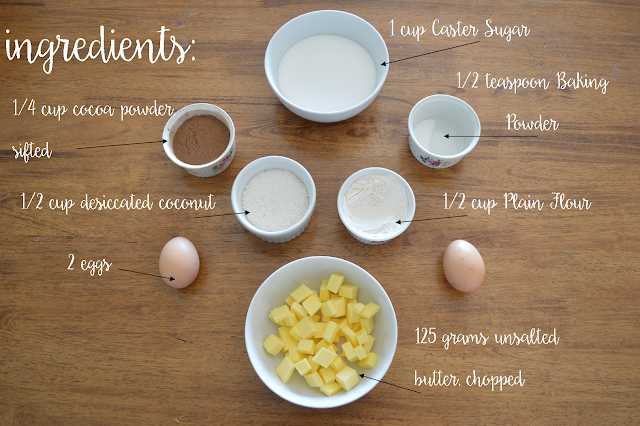 step five // add coconut into mixture, stir with whisk before adding combined sifted flour and baking powder together. whisk until well combined. step six // pour the mixture into prepared baking pan. 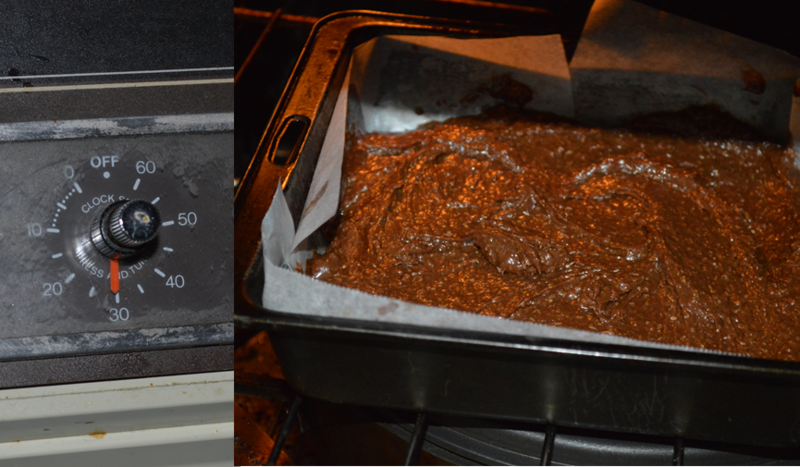 step seven // place brownie mixture into an oven for 30 minutes or until the brownie is cooked all the way through. 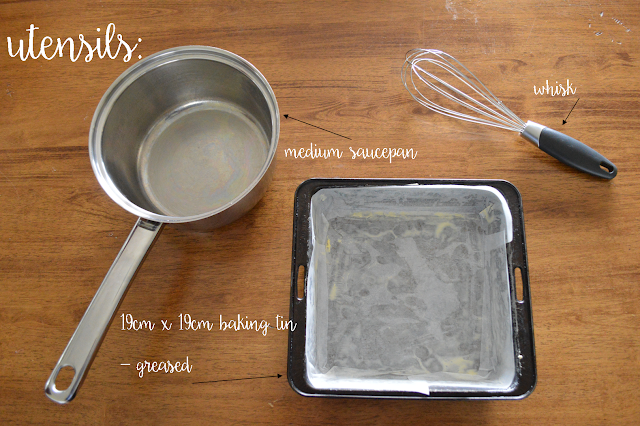 step eight // leave in the pan to cool before placing into an airtight container to store. serving options // sift icing sugar on top or to make an extremely yum desert, serve with whipped cream and raspberries. ahh yummo! These are extremely easy to make and are very Instagram worthy, so if you do happen to make these, tag me on Instagram or send me a photo as I would love to see your take on these! I am off to go eat some more (because I haven't ate enough already!) and plan a whole lot more blog posts as I am feeling extremely inspired for blogging and photo taking so expect some posts soon!